When I was asked to write something about this subject I thought the choice would be challenging, it wasn’t, after all the town I was born into has numerous interesting buildings; many within the medieval grid of what is most probably the oldest purposely laid out town in the country from the 11th Century. But what to start with? 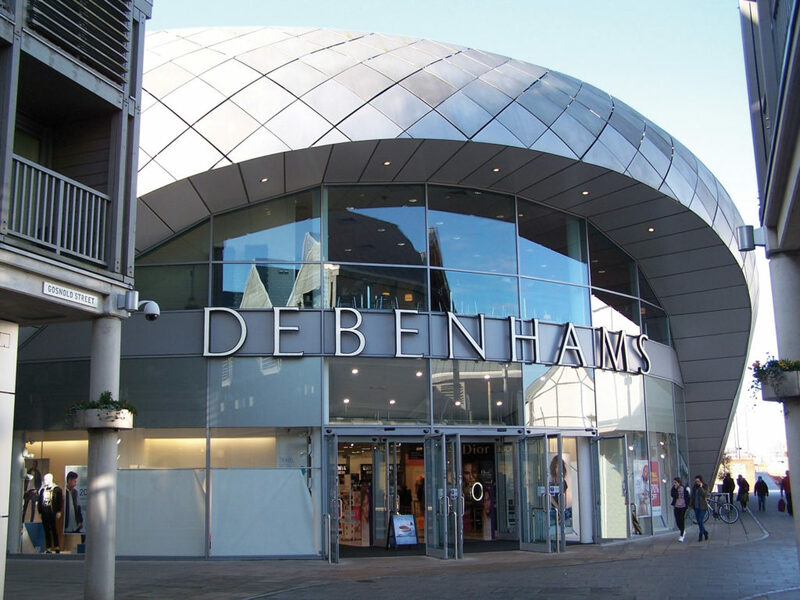 Well I chose to commence with Debenhams Store on The Arc, a very modern shopping centre in the town. Controversially futuristic in appearance and not very Bury St Edmunds are just some of the descriptions used by people since it was built and opened in 2009. From there the iconic Abbeygate was probably the most obvious to proceed with, it sums up the power of the Benedictine Abbey that owned and controlled Bury St Edmunds for over 500 years whilst the noble Norman Tower, its counterpart further along, is now the belfry for the Cathedral the last to be finished in the country, a triumph of modern craftsmen. Nearby is the wonderful St Marys Church, the final resting place of Queen Mary Tudor, Duchess of Suffolk the youngest sister of Henry VIII. Her subdued and under-stated tomb surprising to all, considering her status in life at one time, Queen of France. St Mary’s magnificent Angel Roof above one of the longest naves of any parish church in the country must be appreciated for the quality of its medieval workmanship, superlatives abound for what is today the Civic Church of the Town. There is an eclectic mix of buildings in the book, creating lists is never ideal so I would say to potential readers consider what is within and what is without. Everyone has opinions of what is good architecture, but I have tried to get a balance of the construction of the buildings and their descriptions and some of the stories behind their occupants. 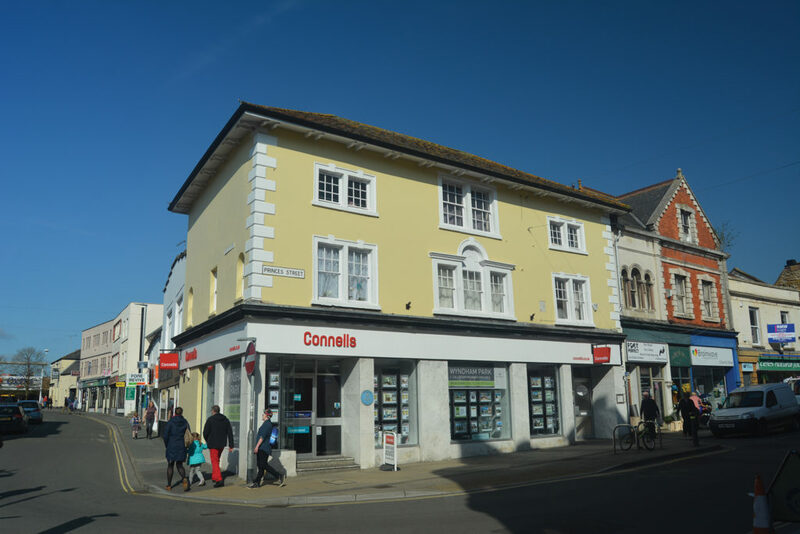 The nefarious Arundel Coke who once lived in St Denys on Honey Hill is a case in point. Having lost his wealth in the greedy investment scandal known to history as ‘The South Sea Bubble’ he elicited the help of an assassin to do his dirty work, that of murdering his well-off brother-in-law, Edward Crisp. Unfortunately, it did not go as the script intended, Crisp survived the brutal attack and Coke and his accomplice, John Woodburn, ended up on the gallows. 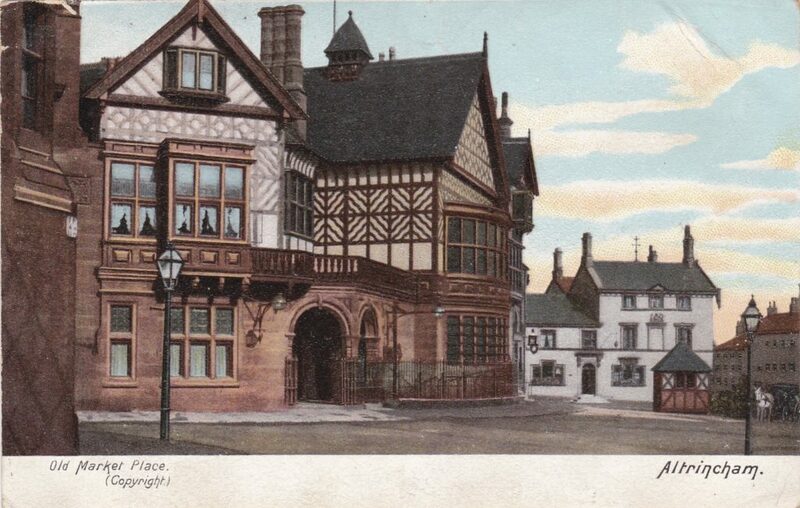 Public buildings are well represented, alms Houses, hotels and public houses also. One of these, The Nutshell, is the smallest in the country, as far as I am concerned there are no other contenders! Two buildings not far from each other have unusual names, Goodfellows named after four brave brothers who fought in WWI, three of whom paid the ultimate sacrifice and Notice to Quit Cottages, the origins of which I have yet to fathom out. The Great Churchyard, the scene of the murderous attempt on Edward Crisp’s life is where I finish with the 50th entrant in the book, that of The Charnel House. This consecrated bone depository from 1300 has various plaques on its exterior to The Good, Bad and Unlucky. Bartholomew Gosnold the good founder of Jamestown, Sarah Lloyd for burglarising her employer’s home with her lover and the unlucky Mary Haselton struck down by lightning whilst saying her prayers. 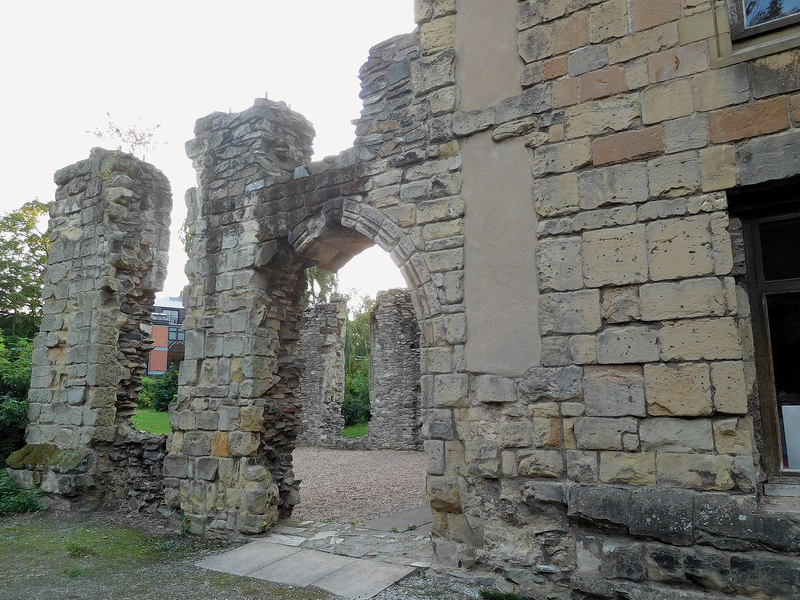 For a town so steeped in history Bury St Edmunds punches far above its weight, the many people who come here as tourists and stroll around the beautiful Abbey Gardens are amazed and ask, “Why have we not come here before”? There is no real answer other than to say just keep coming back! 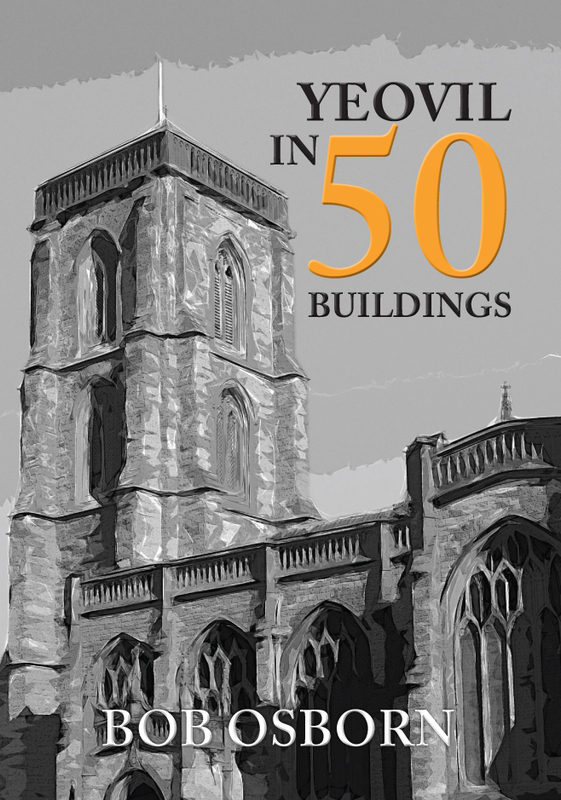 Martyn Taylor's new book Bury St Edmunds in 50 Buildings is avialable for purchase now. This entry was posted in Blog and tagged 50 Buildings Series, Bury St Edmunds in 50 Buildings, Suffolk, Architecture, Bury St Edmunds, Martyn Taylor, Local History, Amberley Publishing on November 22, 2018 by Amberley Publishing. When I was first approached by my Amberley editor regarding the possibility of writing a book about the Bell Rock Lighthouse my almost immediate answer was absolutely not. In my view there had been enough books written about the Bell Rock, most of which were nothing more than edited versions of Robert Stevenson’s 1824 Account of the Building of the Bell Rock Lighthouse. What new information was there still left to find? In the end I was persuaded to write the book by one of the Bell’s many enthusiastic fans: a person from Dundee who had tried to convince me of its superior status among lighthouses. The Bell Rock, long seen as the lighthouse that made the name of the Stevenson Engineers, was built between 1807-10 to mark the deadly Inchcape Reef. As one might expect from the wealth of material published regarding the construction of the tower, it was not only seen as a monumental feat of engineering in its own time, but one which continues to draw appreciation and admiration today. To tame the Inchcape Reef, Stevenson and his men would need to build a solid stone tower on a rock which was submerged 12-feet under water at the high water and barely exposed during low-tide. At the outset of the construction it was expected it would take seven summers to build, but thanks to Stevenson’s ingenuity on the reef it was completed in less than four summers with the light first being exhibited on the 1st February 1811. Despite this impressive record, if I was going to write a book about the Bell Rock it was not going to focus solely on the construction: Robert Stevenson wrote that book in 1824 and the Northern Lighthouse Heritage Trust has made that meticulous text available online. 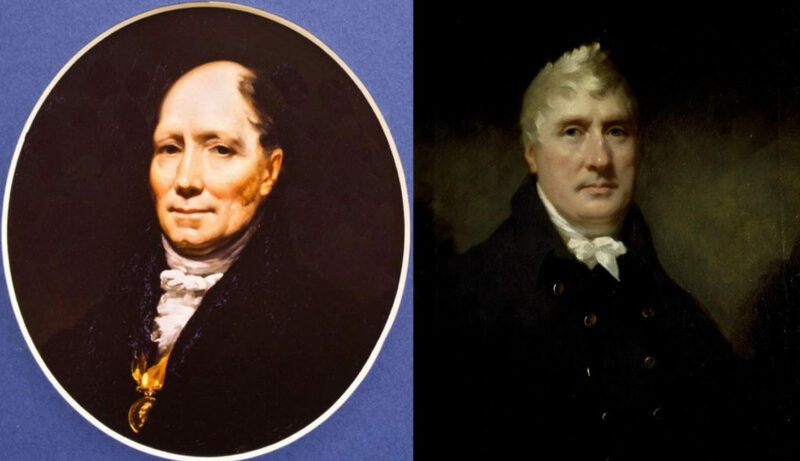 In more recent times authors have studied the construction while questioning whom the credit should go for masterminding the tower: although Robert Stevenson’s name is most associated with the Bell, it is not disputed that he was but an assistant to the project’s chief engineer John Rennie. 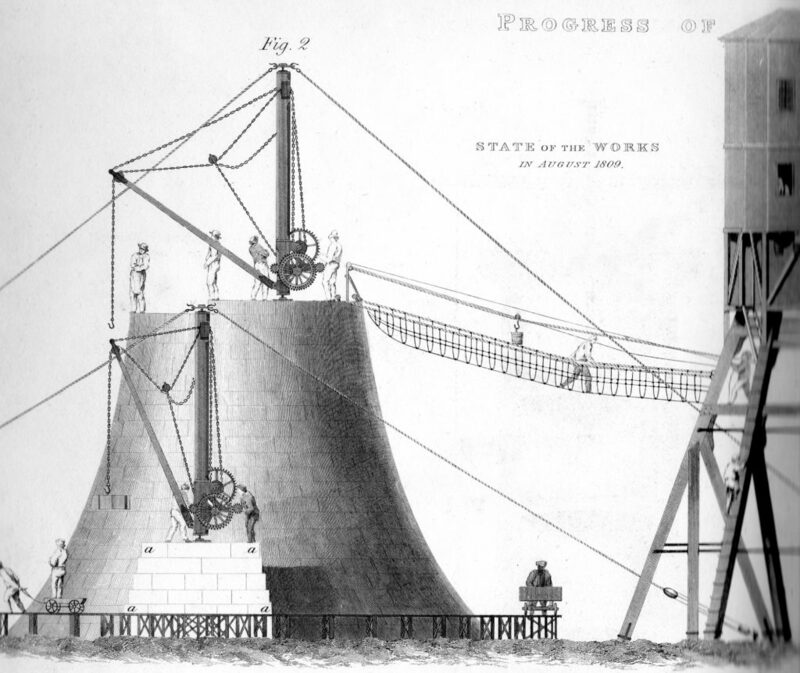 While history has favoured Stevenson, in the last ten years or so Rennie’s vital improvements to Stevenson’s plans are becoming more emphasised and recognised, particularly following Professor Paxton’s 2011 publication Dynasty of Engineers: one of many works published in that year to mark the Bell’s bicentenary. But if I wanted my book to do anything, it was to show that the history of the Bell Rock lighthouse spans more than 4 years: it is more than just Stevenson and Rennie! This new book is different for it purposely goes beyond Stevenson and Rennie to explore the wider history of the Bell Rock, charting how things have changed in the tower through time to the present day. Yes, Stevenson and Rennie have an important part in the book, but they are contained to only two chapters. The majority of the book instead focusses on another aspect of the Bell which in my view draws just as much interest and admiration from pharologists and novices alike: what was it like to live and work on the Bell Rock? The story of how the keepers’ lived on this lonely tower for over 175 years, marooned for six-week periods 12 miles off the Angus coast, is just as fascinating as the over-documented story of construction. The book allows readers to chronologically drop in on the lighthouse during certain periods to see how, in many cases, situations had improved from the previous chapters while in other cases see how persistent challenges remained in what was considered to be Scotland’s worst light to man. 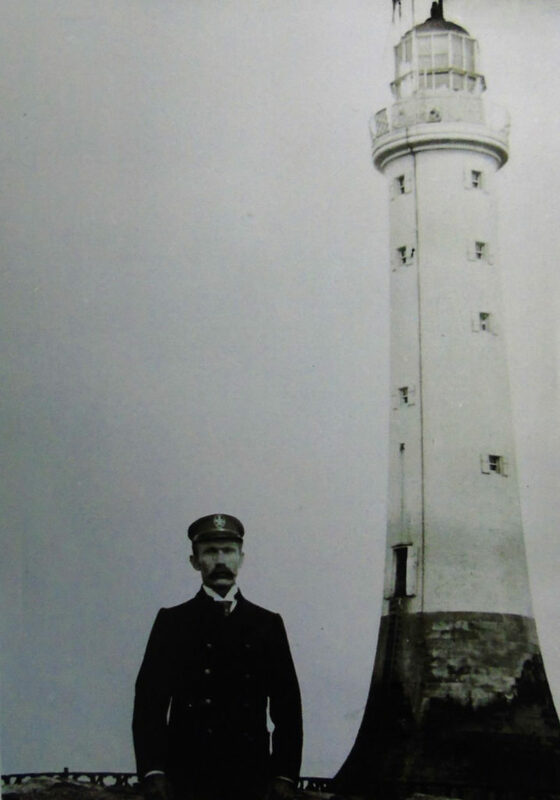 It is acknowledged in the book that the job of light-keeping, particularly on the Bell, could be mundane: like at every other lighthouse there were long periods at the rock where very little changed and where the exact same vigils in the lightroom were carried out night-in and night-out. Such periods were, though, punctuated by the arrival of the engineers in their efforts to update and modernise the station. The more recent engineering challenges have been tackled by non-Stevensons and have been largely overlooked and ignored by pharologists and historians. Among those featured in the book are the four main ‘punctuations’ of the 20th Century: David A. Stevenson’s 1902 improvements; the Bell Rock adaptions for war; Hyslop’s 1963/4 modernization; and the Northern Lighthouse Board’s 1987/8 modifications for automation. 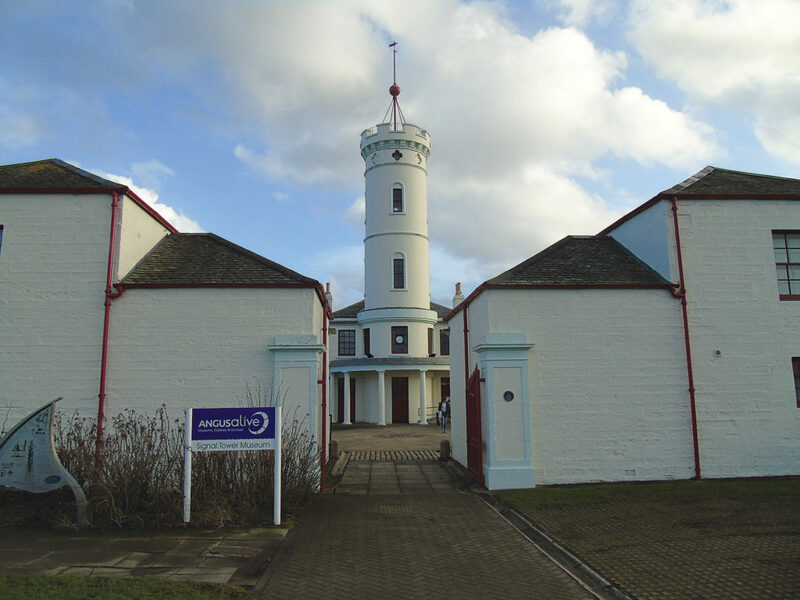 While none of the above may match the gargantuan challenge and achievements of Stevenson and Rennie, they are important steps by the direct successors of those two men in the making of a modern and functional lighthouse. These engineering projects are just as fascinating a read and just as important to the history of the tower than those overseen by Robert Stevenson in the century before. 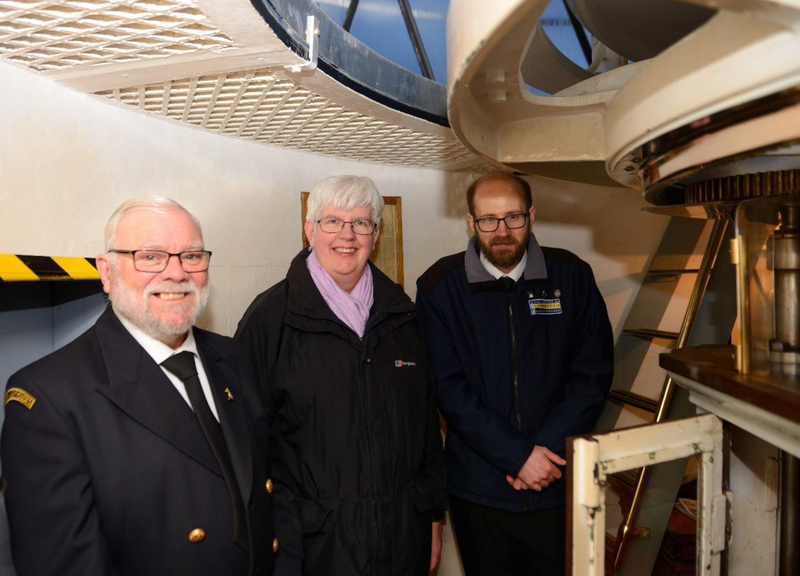 The book is illustrated with 100 images which have largely been taken from the extensive collection of the Museum of Scottish Lighthouses in Fraserburgh as well as from other institutions and private collections, with many historical internal views of the tower. Some of these images have never-before been published which should be of interest to fans of the Bell Rock, and fans of lighthouses in general. The images represent the best collation of Bell Rock images in a single publication on the subject, while the approach to chronicle the full history of the lighthouse represents a welcome break from the traditional and well-trodden focus of that lights prestigious past. 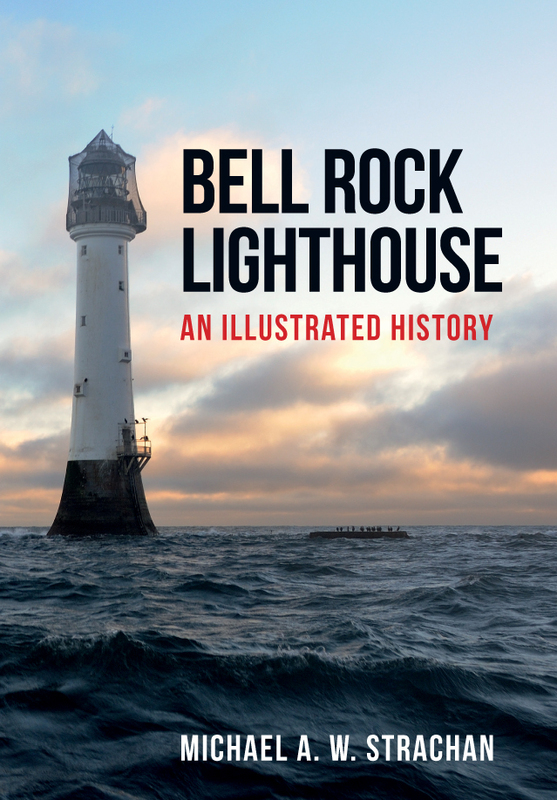 Michael A. W. Strachan's new book Bell Rock Lighthouse: An Illustrated History is available for purchase now. This entry was posted in Blog and tagged Bell Rock Lighthouse: An Illustrated History, Lighthouse, Michael A. W. Strachan, Bell Rock Lighthouse, Structure & Design, An Illustrated History, Northern Scotland, Architecture, Amberley Publishing on August 20, 2018 by Amberley Publishing. In recent times, it has been announced that three of our historical buildings are about to be renovated and transformed. The former Park Hotel overlooking Miller Park, the old General Post Office building overlooking the Market Place and the old Corn Exchange on Lune Street are being primed for upgrades. 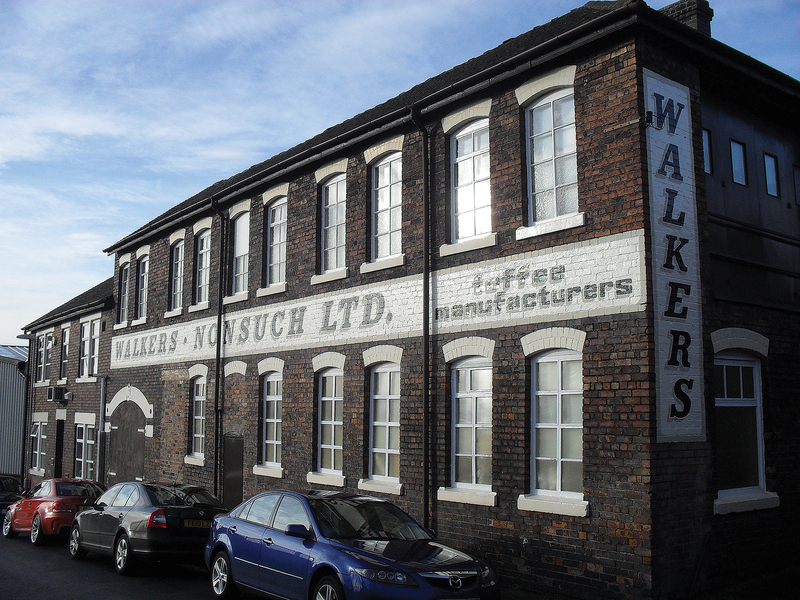 It seems that buildings have a life of their own and those in Preston are no exception. 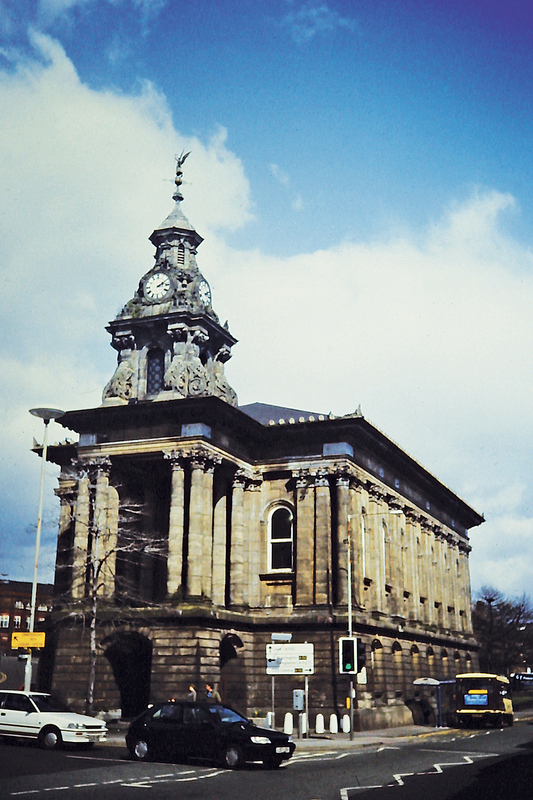 Preston in 50 Buildings is relevant at a time when the buildings of Preston are currently in the public eye. 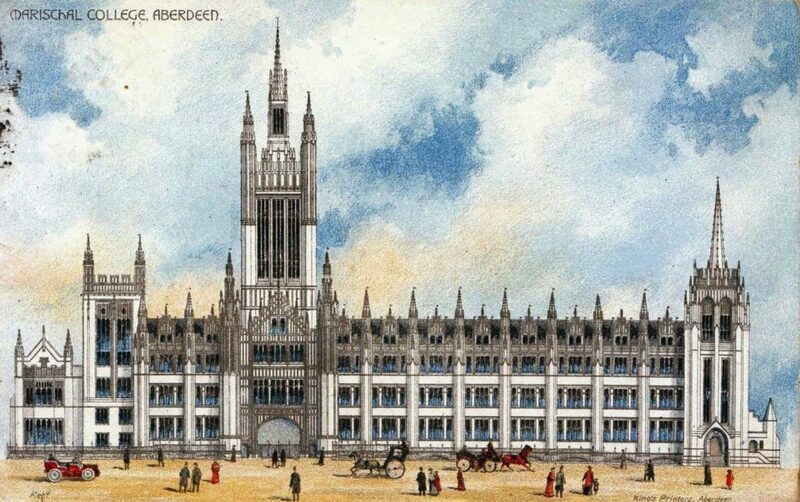 The history of our buildings is an enthralling one and my book chronicles the events and the people who helped shape the city architecture of today. 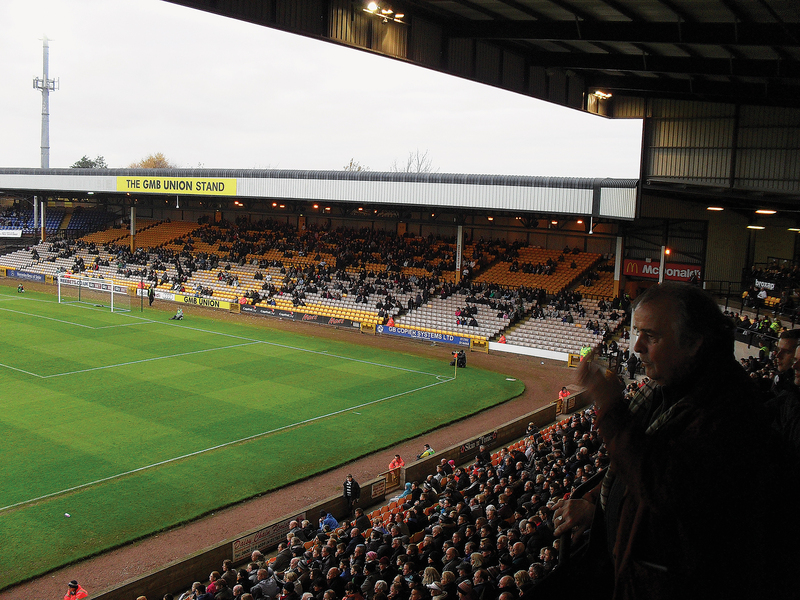 Preston became a city in 2002 over two hundred years after the first cotton mill had been erected in the town. What followed the first cotton mill was two centuries of development that left us with a University City. Daniel Defoe, the author of Robinson Crusoe, toured the nation in the early 18th Century as a prelude to his three volume travel book, ‘Tour Through the Whole Island of Great Britain (1724-27)’ which provided a fascinating first-hand account of the state of the country. Regarding Preston he had this to say - 'Preston is a fine town, but not like Liverpool or Manchester. Here's no manufacture; the town is full of attorneys, proctors, and notaries. The people are gay here and though non the richer for it; it has by that obtained the name of Proud Preston'. Fine words indeed, but things would certainly change in the centuries ahead as the Preston of today was created. It involved great feats of civil engineering, far sighted architects and people intent on progress. 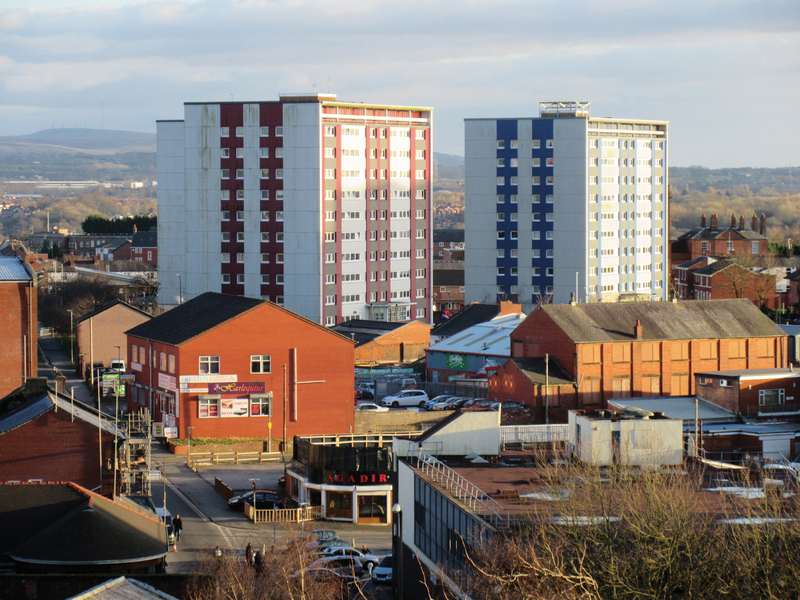 The buildings of any town or city define the place more than anything else and Preston is no exception. 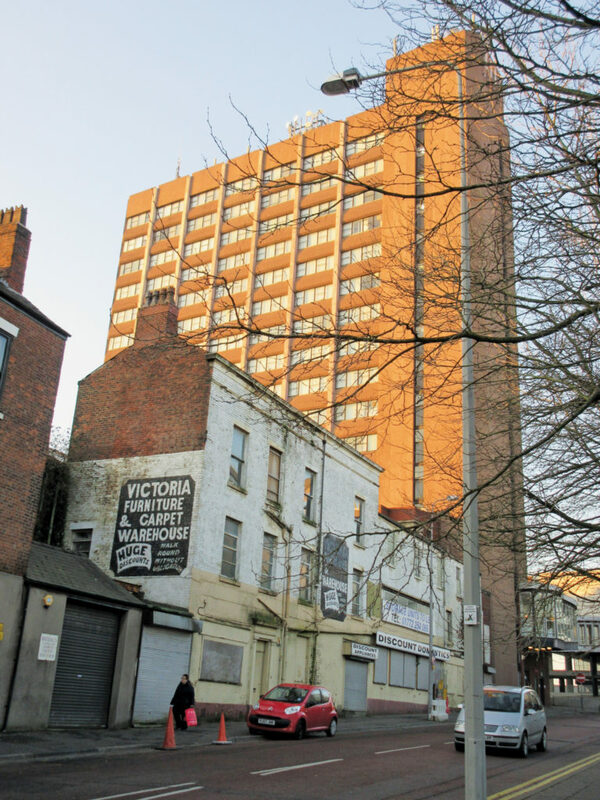 The sky line is inevitably dominated by the tallest of structures and the main highways through Preston were shaped by the erection of the earliest dwellings and footpaths. It never is a blank canvas for the developer, but one where the existing landscape cannot be ignored. 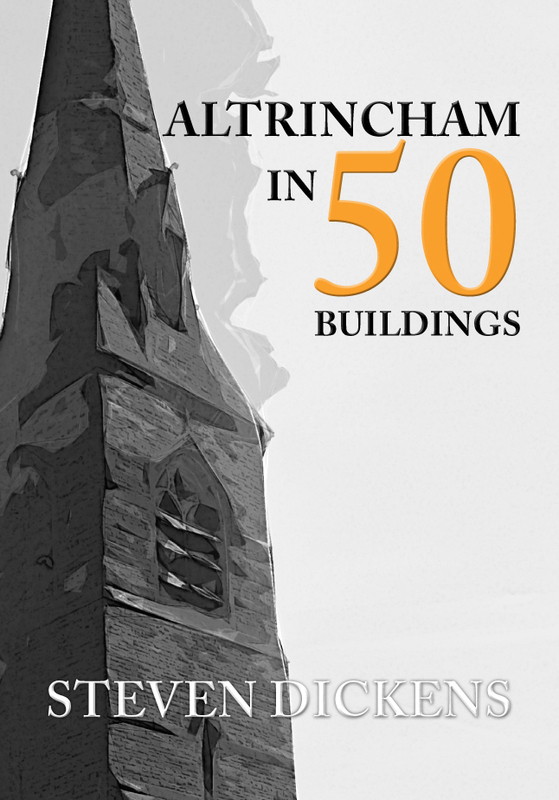 The choice of 50 existing buildings is no easy task for we all have those to which we attach fondness or favour. Those selected have been chosen for reasons of social, commercial, historical, political or civil importance, or simply because they are civil engineering feats to admire. Mention is also given in the book to numerous other buildings that in their own way are part of the rich tapestry woven into the soul of our city. They all, in their own way, reflect the drive and ambition of people to improve the environment of their day; for Preston folk to linger, dwell or work within. Hopefully, you will appreciate what was no mean achievement to create a city; although with hindsight it probably didn't turn out quite like the town the planners of old foresaw or dreamed about. Only a few factory chimneys from the industrial heydays now remain, but those that do hold a significant place in the history of the city. The great name of Horrockses has left a legacy from the time Sam Horrocks built his mansion at Lark Hill through to the construction of Centenary Mill on New Hall Lane, now converted into luxury apartments. The other great monument from the cotton trade, the Tulketh Spinning Mill, has also passed the test of time and still provides employment for many. There is the legacy left behind by the dockers of Preston an area now transformed and known as Riversway; and by the tram and omnibus pioneers of Preston Corporation and the fondly remembered Ribble Bus Co; not forgetting the railway pioneers with their bridges across the River Ribble or the later emerging Victorian railway station through which passenger and freight trains still pass each and every day. Although the book is essentially about buildings it does afford the opportunity of walking in the footsteps of Preston folk down the generations, from noble men to common folk, and you will catch a glimpse of their lives on the streets of old as the place developed around them. Thankfully many of the homes of grandeur inhabited by genteel folk still remain to allow us to marvel at their architecture. 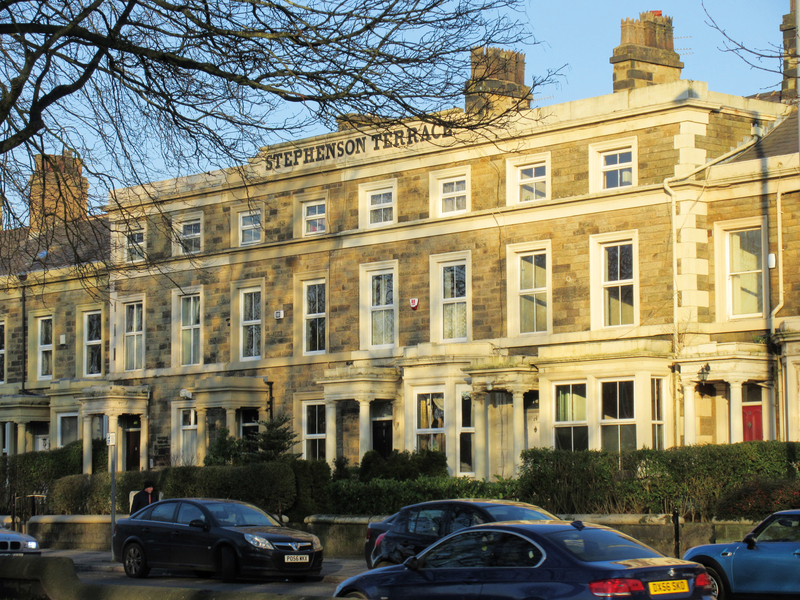 Notable residents of our town past are mentioned, such as Edwin Henry Booth who once dwelt at Avenham Tower; Joseph Livesey whose residence was around the corner on Bank Parade where well cultivated gardens once flourished, and LEP newspaper pioneer George Toulmin who lived nearby on Ribblesdale Place. Down Stoneygate you can still visit the very place where Sir Richard Arkwright developed his revolutionary spinning frame, whilst Winckley Square owed its development to the ambition of William Cross and the Pedder families involvement with Ashton House eventually led to another pasture land becoming a public park. The idea of choosing 50 buildings in a town or city is quite thought provoking. 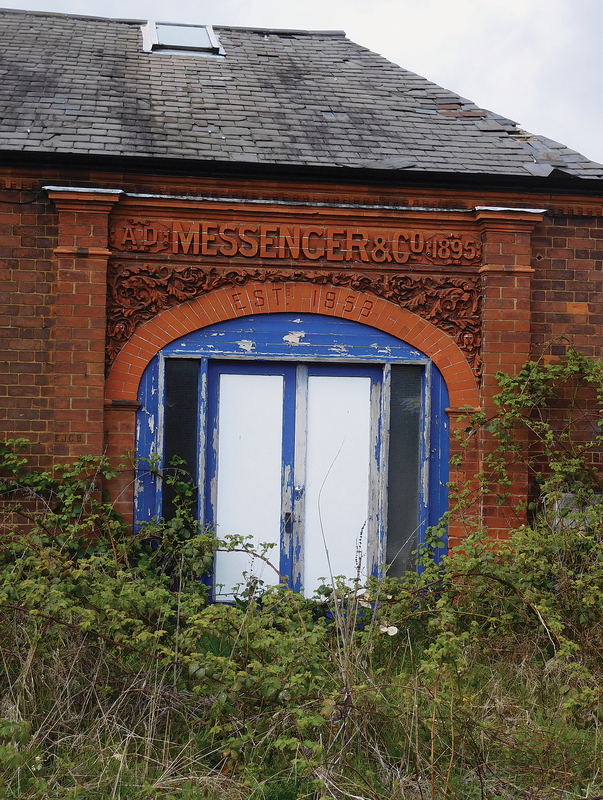 Yes, there are many former buildings still recalled with fondness, but it is the great survivors, those of great longevity or local significance that take their place in chronological order within the pages of the book. It is apparent that great architects have been at work here, great planners and far-sighted pioneers have strived to build what in many cases are true monuments to their work. The architects of the 19th century, who inherited a landscape of factory chimneys and windmills, would no doubt look in awe upon the structures that have emerged since the middle of the 20th century. If only they were able to stand on the top floor of the Tithebarn Street bus station they would see not only the church towers and steeples built in their days, but towering skyscraper blocks of apartments, hotels and offices along with temples and domed mosques, a sign of today’s multi-cultural Preston. 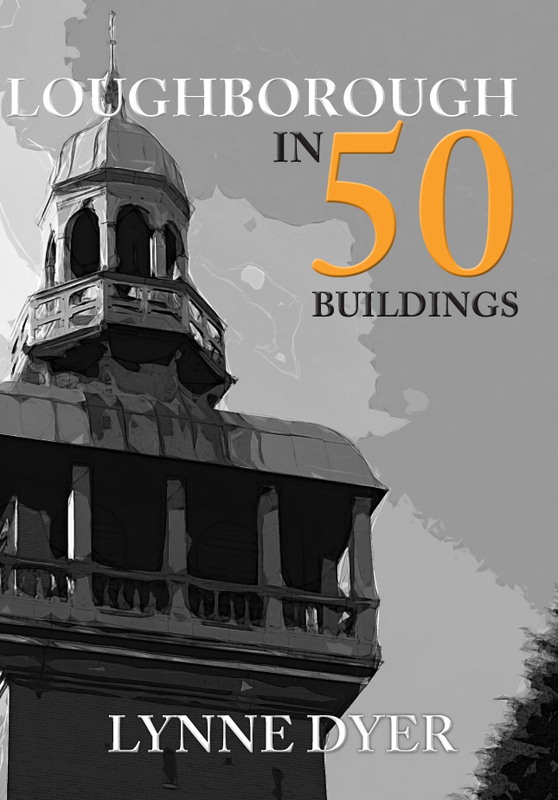 Preston in 50 Buildings explores the history of this rich and vibrant community through a selection of its greatest architectural treasures. 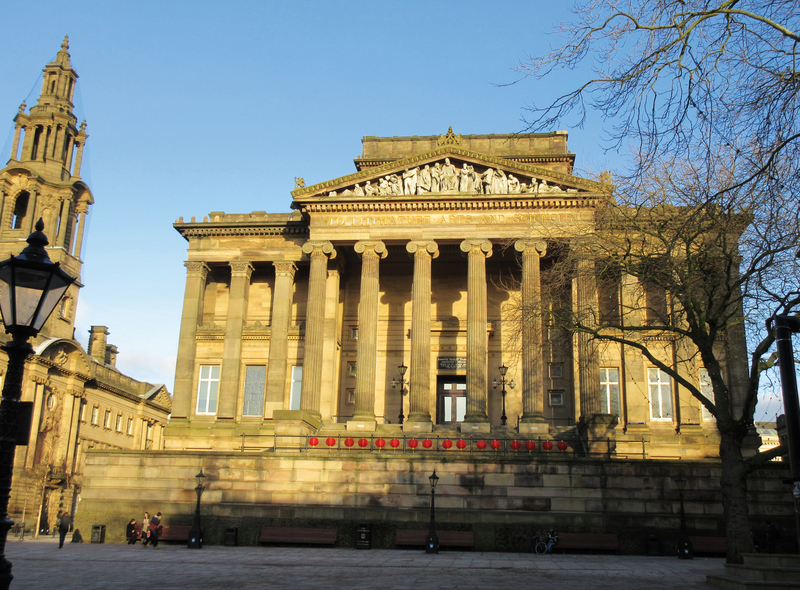 From the Grade I - listed Harris Museum to the modern Guild Hall, this unique study celebrates the city’s architectural heritage in a new and accessible way. 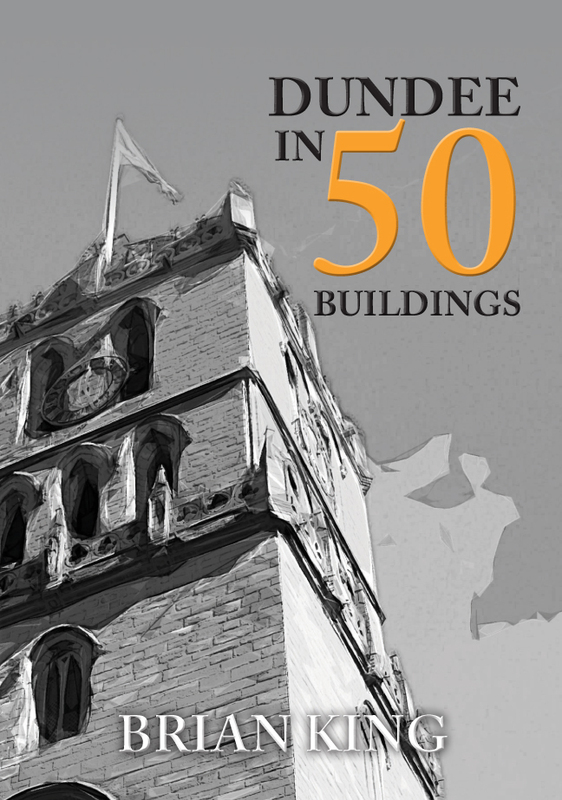 The book takes you on a tour of the city’s historic buildings and modern architectural marvels and reveals a little about their construction and creation. 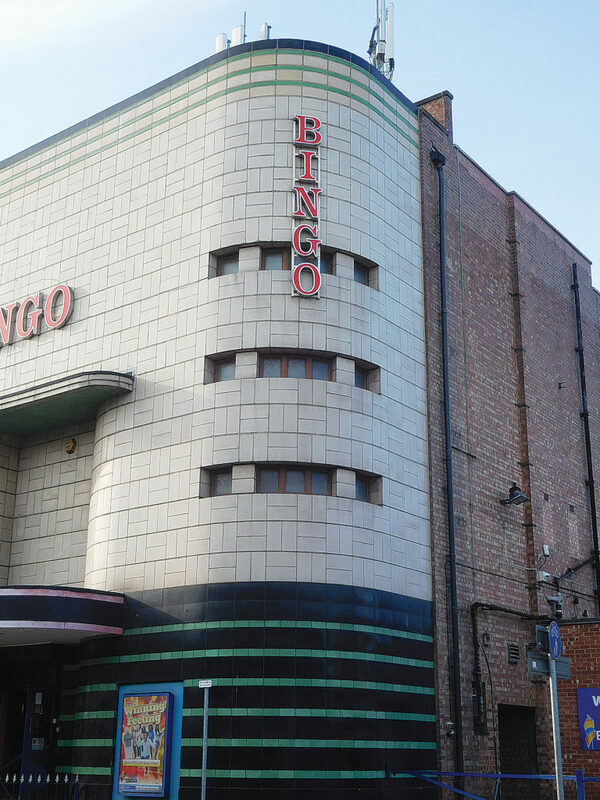 The churches, theatres, public houses and cinemas of Preston’s industrial past are examined alongside the innovative buildings of a 21st century city. In the pages of the book you can visit some of the oldest, the quaintest, the tallest, the smallest, the busiest, the boldest and the brashest building in the city. No point dwelling on the buildings that have been and gone, their useful purpose over, but much better we embrace those that remain from long ago, or have appeared on our streets in recent times. 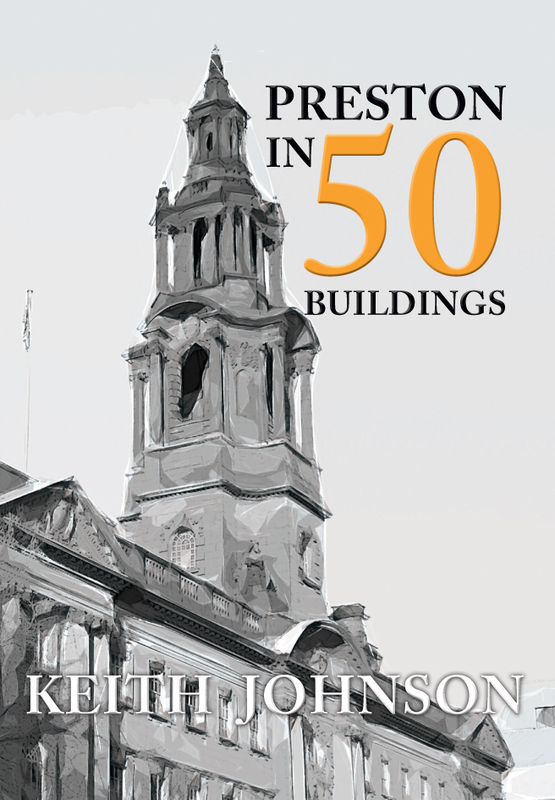 Keith Johnson's book Preston in 50 buildings is available for purchase now. This entry was posted in Blog and tagged Preston in 50 buildings, Preston, Keith Johnson, Lancashire, In 50 Buildings, Architecture, Local History, Amberley Publishing on April 20, 2018 by Amberley Publishing. One of the benefits of writing a book like Dundee in 50 Buildings book is that it literally makes you look again at buildings that you may have known all your life and notice details that you had not previously seen. Another is that it gives you a reason to visit places that you may have heard of but have never visited. In my case St Salvador’s Church was one such building. 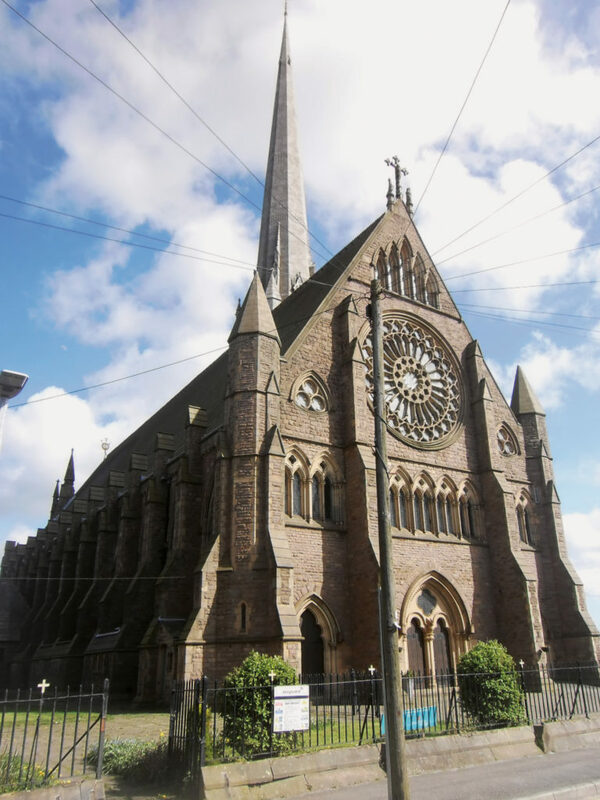 The church is situated in a different area of Dundee to the one in which I had grown up and, before researching the book, I had never had cause to visit it. 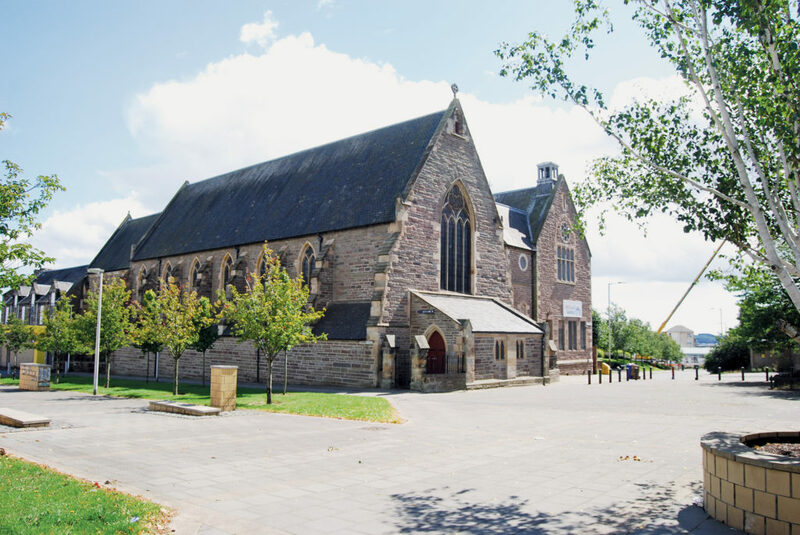 St Salvador’s is the result of a mission to the Hilltown area of Dundee launched in 1855 by Bishop Alexander Penrose Forbes and Reverend James Nicholson of the Scottish Episcopal Church. 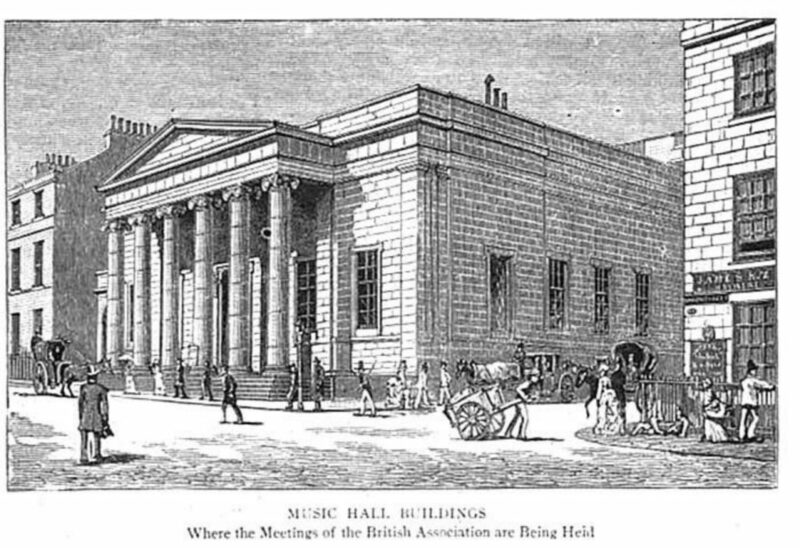 Building on the site at Maxwelltown was undertaken in stages between 1858 and 1874. 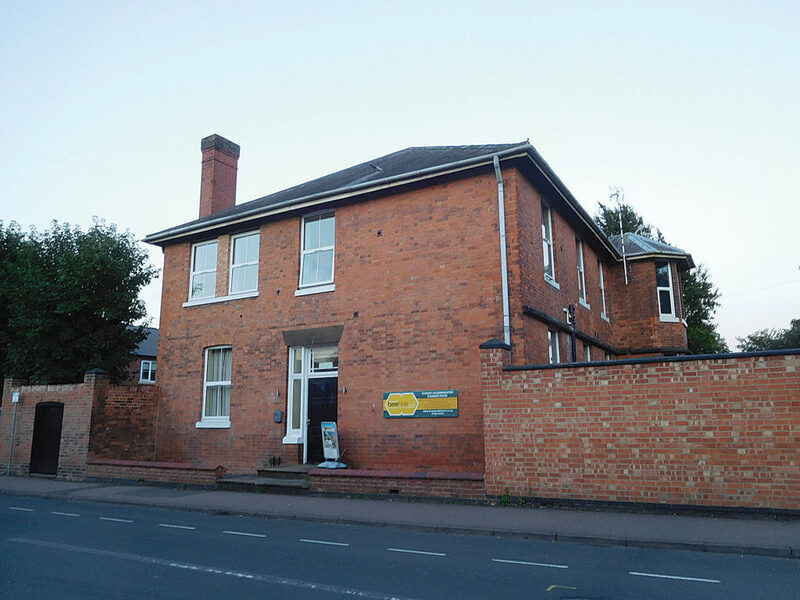 The first structure to be erected was the building that today is the Maxwell Centre but which originally comprised a school with a temporary church above. 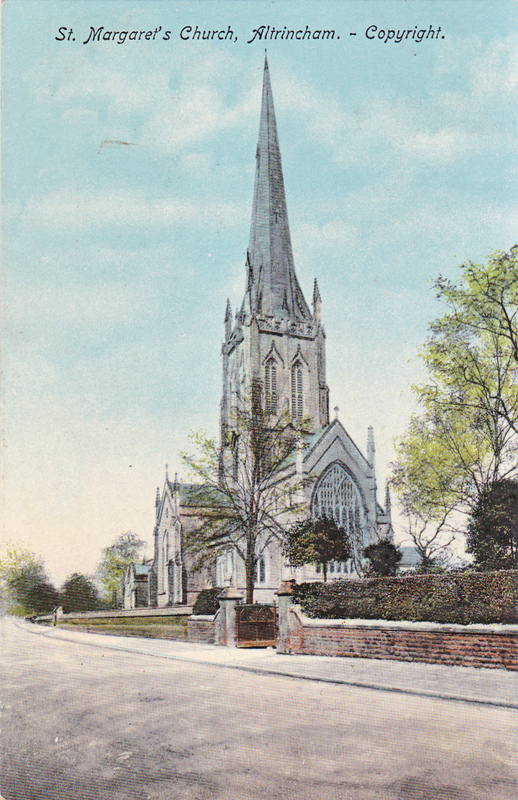 The church itself was built in two stages with the nave being constructed in 1867-8 and the chancel and Lady Altar in 1874. The man behind this building was one of the most important ecclesiastical architects of the Victorian era, George Frederick Bodley. Bodley was born in Hull in 1827 and in 1845 became a pupil of the foremost figure in the Gothic revival movement Sir George Gilbert Scott, to whom he was related by marriage. 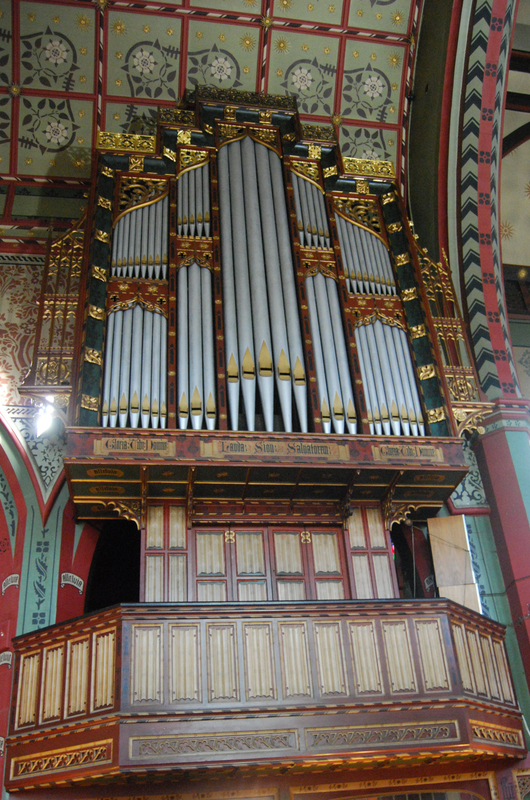 Like many of his contemporaries, Bodley was concerned not just with the structure of his buildings but with their furnishings and decoration, helping to revive the mediaeval use of colour in his church interiors. For the poor millworkers who occupied the Hilltown area at the time the church was built, walking into St Salvador’s must have been the amazing, uplifting experience that Bodley intended it to be. They were greeted by a dazzling display of colour and artwork that contrasted sharply with the grim realities of their daily lives in Victorian Dundee. 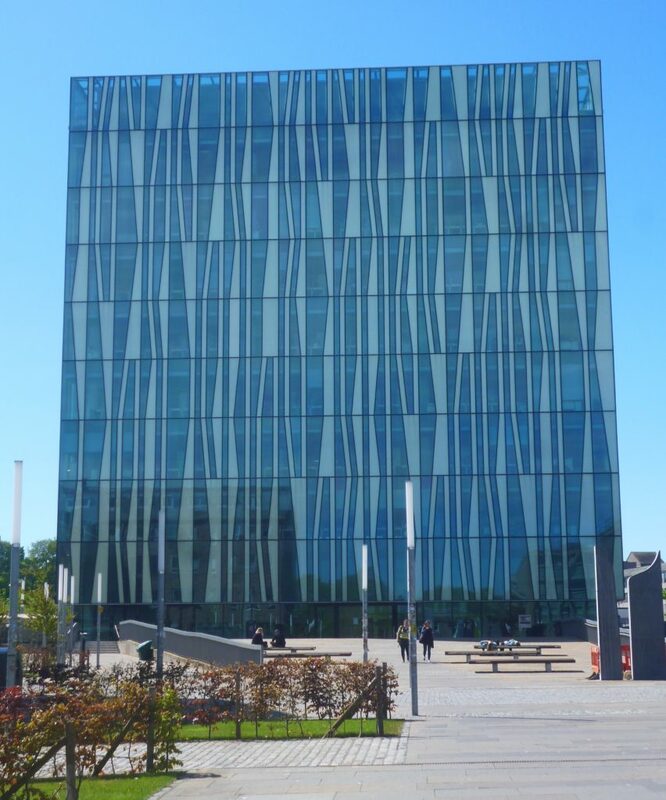 The building is still capable of provoking such a reaction in the twenty first century. The walls and ceiling are decorated throughout with stencil painting designed by Bodley. Originally in watercolour this was replaced in oil paint in 1936 and restored in 1972. 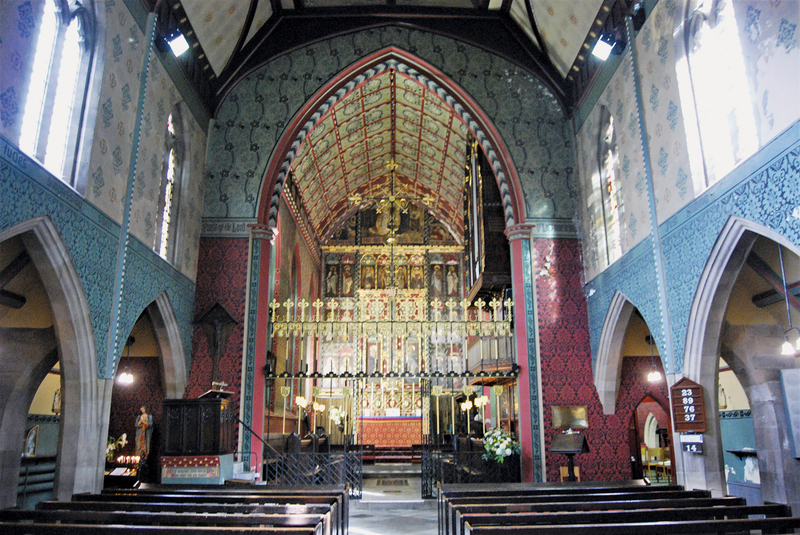 The nave is mainly decorated in a light green colour designed to direct the eye towards the chancel. The chancel arch in contrast is chiefly a deep red colour. 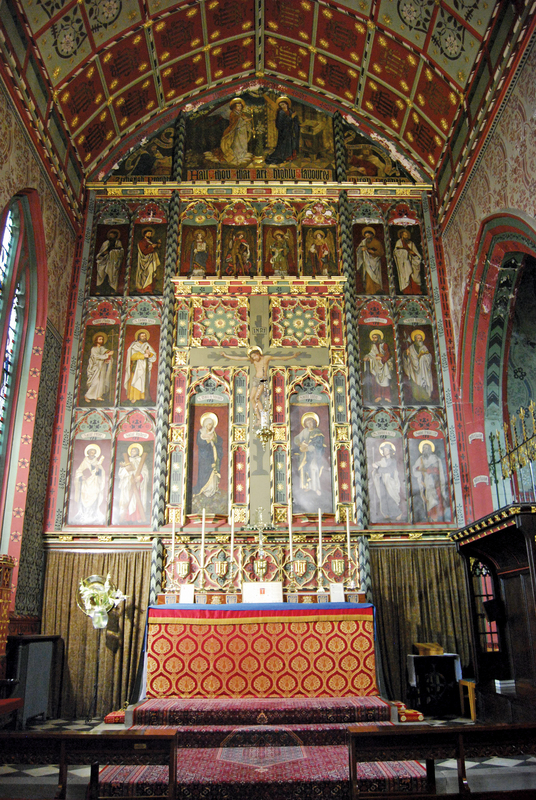 The painted and gilded iron chancel screen was designed by Bodley as was the beautifully painted panelled reredos which fills the whole of the east wall. The central panels of the reredos depict the crucified Christ with the Virgin Mary and St John at the foot of the Cross. The surrounding panels show the Apostles and the Archangels. Above is a fresco of the Annunciation. Other notable features of the church include the highly decorated organ which was restored in 1997.The stained-glass windows show various saints and are the work of the renowned English firm of Burlison and Grylls, except for that in the rose window in the west gable of the Lady Chapel which was transferred from the similar window in the temporary church next door. St Salvador’s Church remains an active place of worship in the Scottish Episcopal Church today. As well as the standard service times, the church is regularly open to visitors and has participated in Doors Open days in recent years. Much has changed about the Hilltown area in the century and more since St Salvador’s Church was built, but the area is still a deprived one and the church opens its doors to those in need each Sunday afternoon, providing food, drink, friendship and advice. Impressive as the building is, the fact that the church is still fulfilling its original mission is perhaps even more so. Visiting St Slavador’s for myself has not only given me an interest in seeing more of Bodley’s work elsewhere but also a determination when visiting other towns and cities to seek out more of the fascinating buildings that are not necessarily part of the tourist trail. 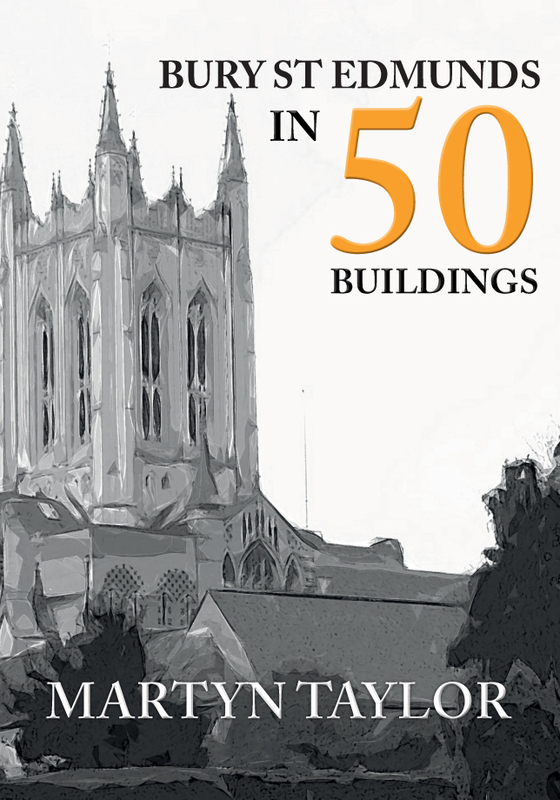 Based on my own experience of writing one, I think that buying the local “in 50 Buildings” book would be a good place to start. 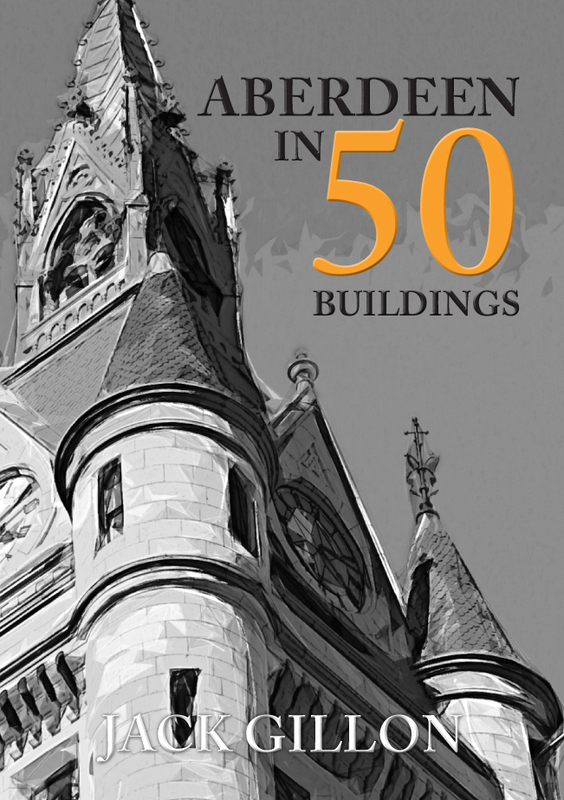 Brian King's new book Dundee in 50 Buildings is available for purchase now. 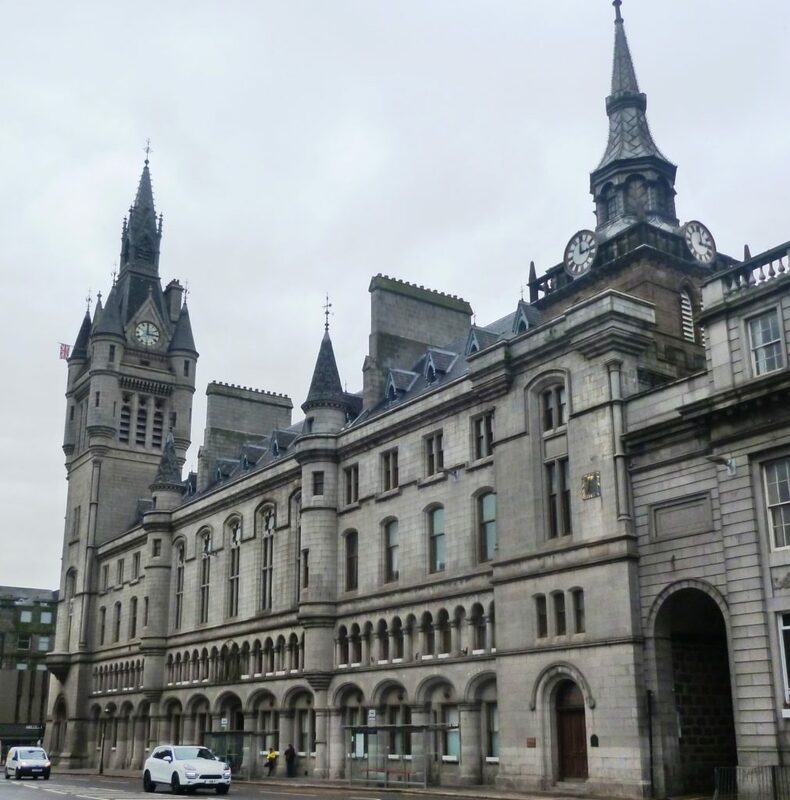 This entry was posted in Blog and tagged Northern Scotland, Dundee, Brian King, Dundee in 50 Buildings, In 50 Buildings, Architecture, Scotland, Local History, Amberley Publishing on March 28, 2018 by Amberley Publishing. Over the twentieth-century Woking has been ‘redeveloped’ several times. This trend has continued into the twenty-first century so writing a book with the above title was not an easy task. 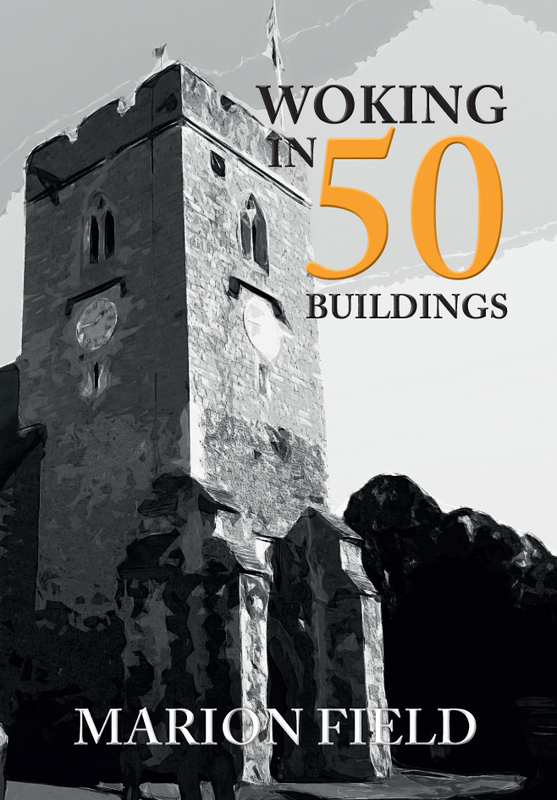 However, it is hoped that most of the buildings featured are still standing although there may have been some changes since the book was written. 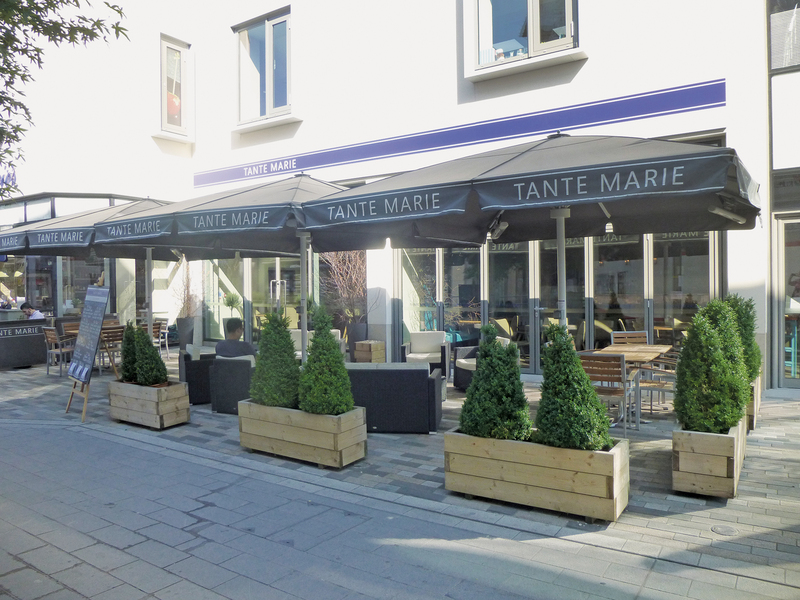 The Tante Marie Restaurant, which served delicious meals with waitresses and waiters trained by the Academy next door is now closed as it was competing with so many new eating places. Old Woking is featured in the Domesday Book. 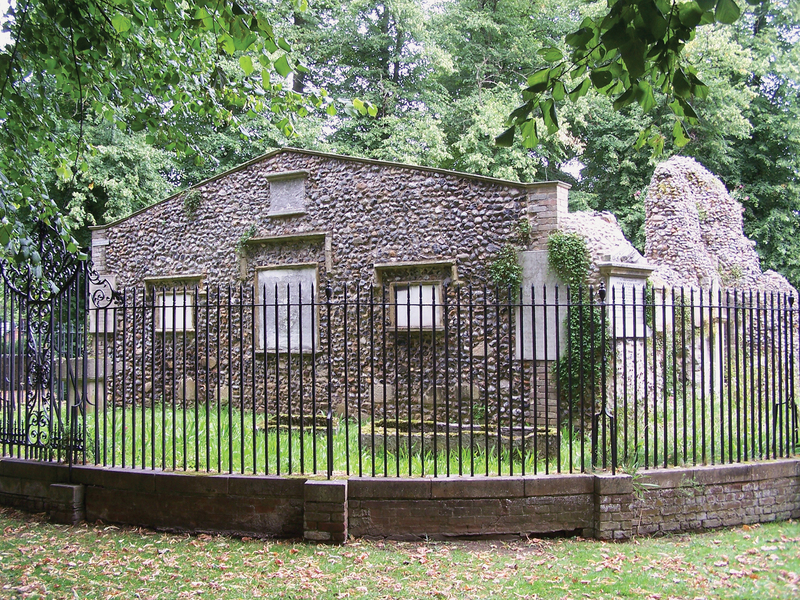 A Saxon church probably stood on the site of St Peter’s Church built in the eleventh-century. 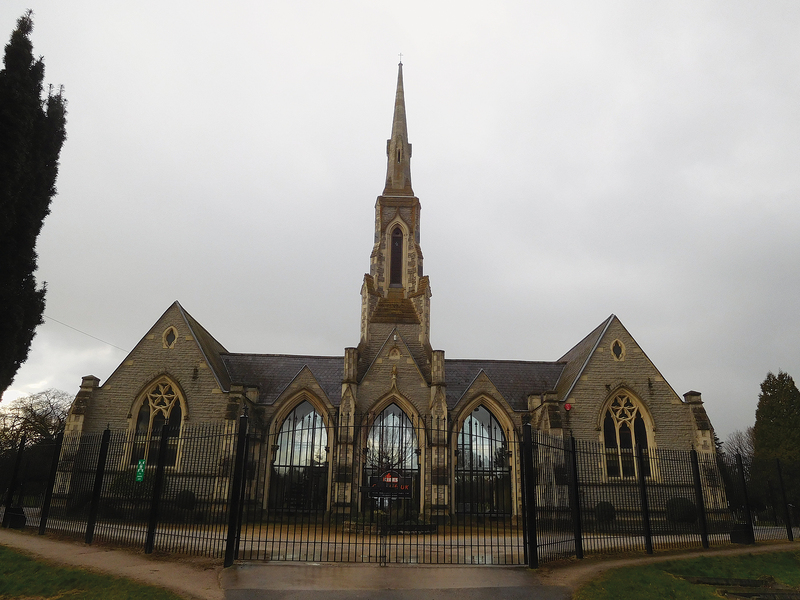 This still has a flourishing congregation with services and activities held throughout the week. 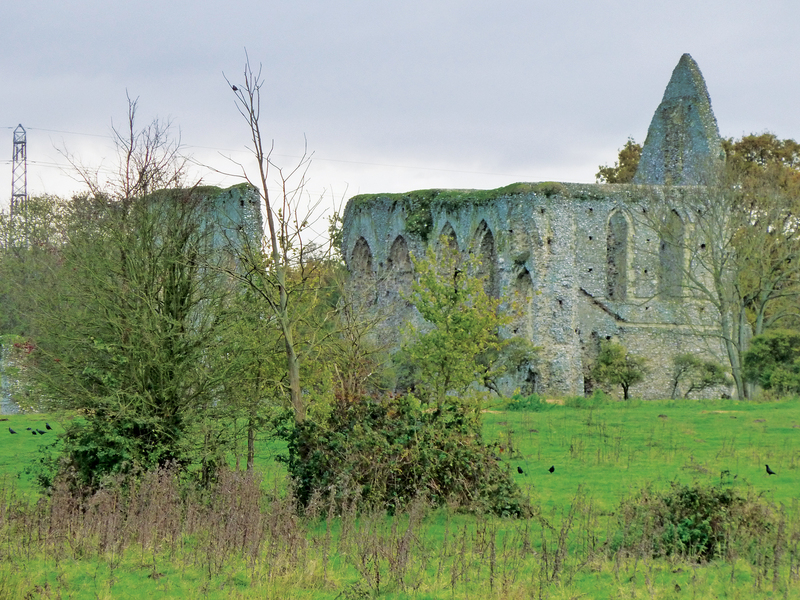 A few miles away in Pyrford the ruins of Newark Priory are a reminder of Henry VII’s desecration of the monasteries. The monks from the Priory may sometimes have worshipped in St Peter’s Church. Another ruin near the church is Woking Palace. Originally a medieval manor house, it was transformed into a luxurious palace by Henry VIII’s grandmother, Margaret Beaufort. Here, she entertained her grandson and possibly his current wife. When James I sold the Palace to Sir Edward Zouche, the new owner left it to decay and eventually used the bricks to build himself a new mansion on the site of the Hoe Bridge School. Most of the area around Old Woking was common land at this time and it was not until the nineteenth-century that the railway was built through it and ‘New’ Woking developed. When a cholera epidemic erupted in London, a new cemetery was required outside the city and Brookwood Cemetery was created from 400 acres of common land. Trains on the new railway line carried the coffined dead to their final resting place. Dr Gottleib also found the railway line of use when he decided to open a school of Oriental Studies in 1883. In the grounds he built a Mosque for his Muslim students to worship. Sadly, Dr Gottleib died at the end of the nineteenth-century and the school and the Mosque were no longer used. 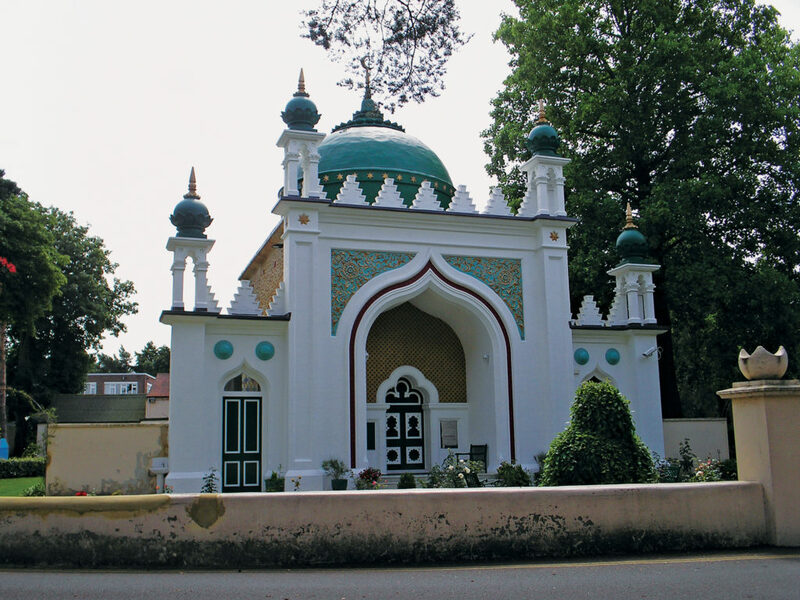 The Mosque, however, was resurrected a few years later and is still in use by the large Pakistani community who came to Woking after the Second World War. 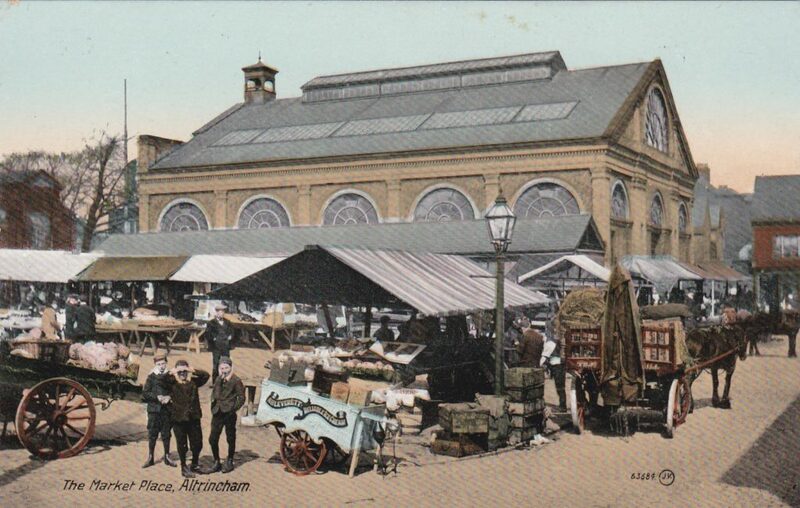 ‘New’ Woking continued to develop in the nineteenth-century with shops, churches, pubs and schools being established. Culture was not forgotten. Visitors to the Lightbox can hear about the history of the area and enjoy one of the many temporary exhibitions. In April 2017 the venue also hosted Woking’s first ‘Literary Festival. 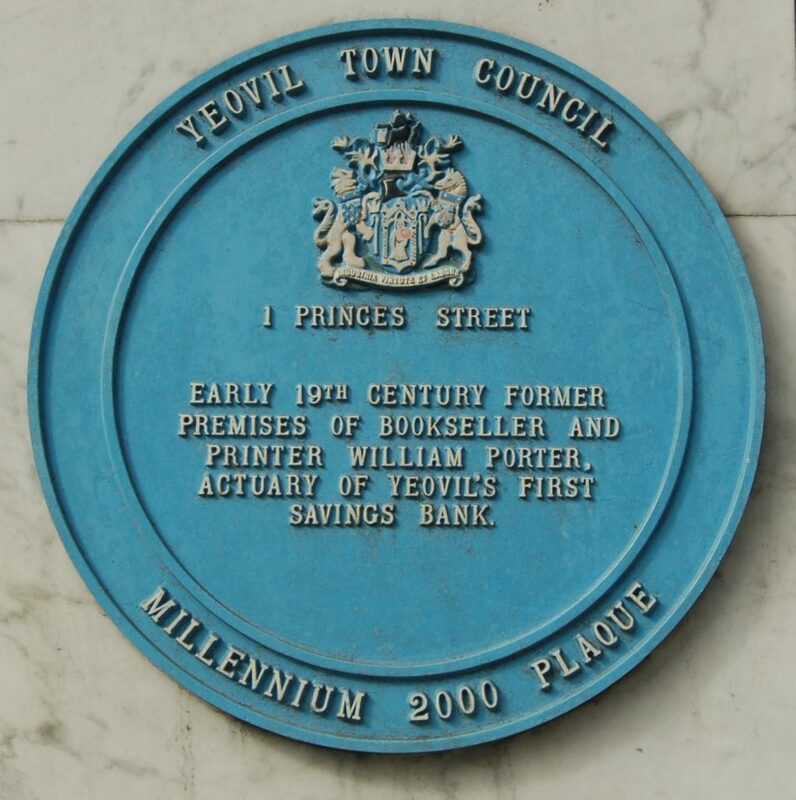 The 120 photographs in the book show the variety of buildings that the town contains. 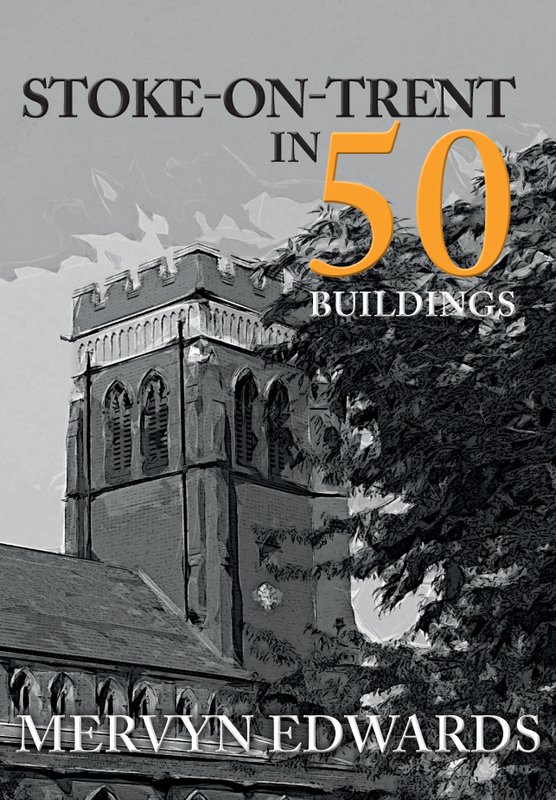 Marion Field's new book Woking in 50 Buildings is available for purchase now. 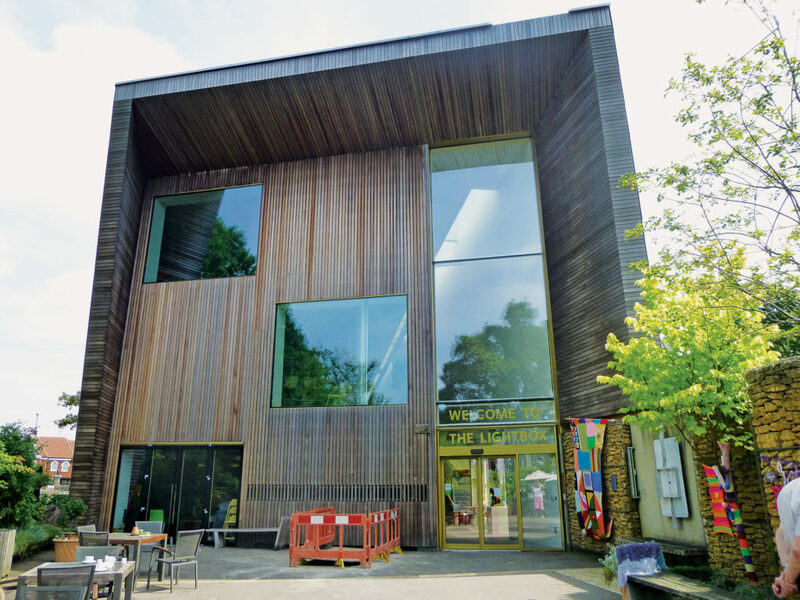 This entry was posted in Blog and tagged In 50 Buildings, Surrey, Woking, Marion Field, Woking in 50 Buildings, Architecture, Local History, Amberley Publishing on December 12, 2017 by Amberley Publishing.